Seller states everything on the boat works. The boat just had its annual service complete as of 02/2018. The exterior hull and gelcoat showed very well and little to no docking scars. All the cushions and the bimini top looked to be in very good condition. Stock #167742 This vessel was SOLD on March 25. 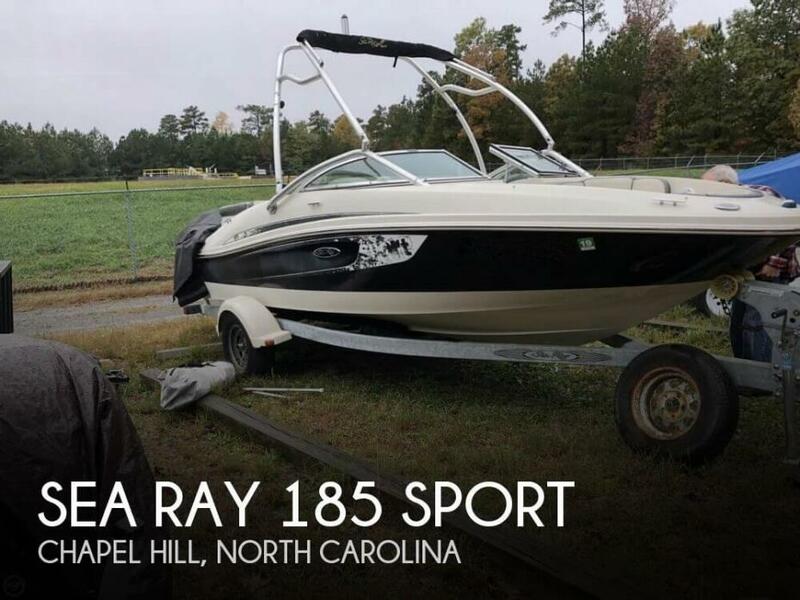 If you are in the market for a bowrider, look no further than this 2008 Sea Ray 185 Sport, just reduced to $15,500 (offers encouraged). This boat is located in Saint Petersburg, Florida and is in great condition. She is also equipped with a Mercruiser engine that has only 175 hours. - New marine upholstery, interior in good condition - Exterior in good condition, some minor scuffs for its age - The trailer has New tires, a dented fender, a sidelight is not working, includes a spare tire. 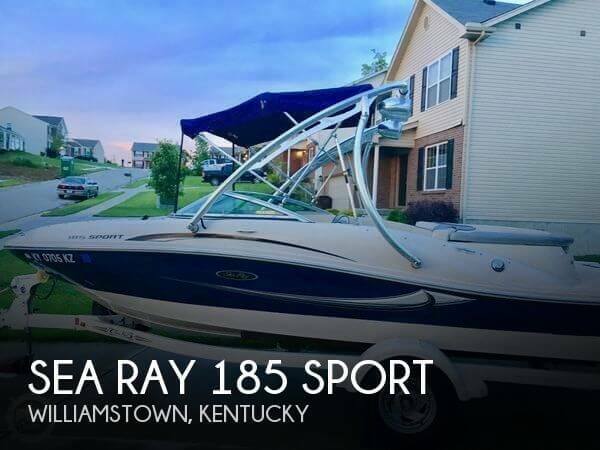 - New boat cover with stands Stock #163956 Great family sport boat with new upholstery and lots of storage -extras include wakeboards and skis also includes cover and bimini If you are in the market for a bowrider, look no further than this 2005 Sea Ray 185 Sport, priced right at $18,000 (offers encouraged). 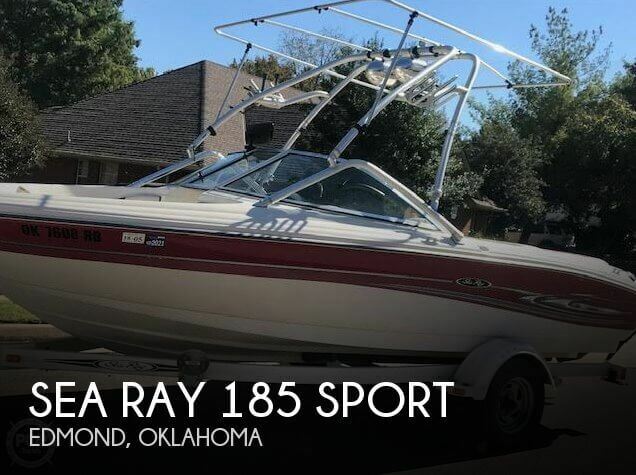 This boat is located in Edmond, Oklahoma and is in great condition. She is also equipped with a Mercruiser engine that has only 250 hours. Beautiful hull, free from scratches with shiny gelcoat. Supple and clean upholstery. Instrument cluster and controls are bright, no sun fading visible. Engine and drive just serviced, look fine. Alpha One outdrive skeg guard is missing one bolt. The trailer is fine. 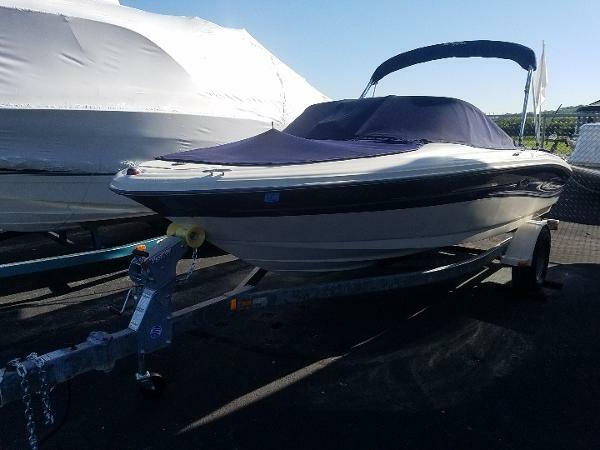 Stock #144586 2009 SEA RAY 185 SPORT MERCRUISER INCLUDES TRAILER JUST SERVICED If you are in the market for a bowrider, look no further than this 2009 Sea Ray 185 Sport, just reduced to $15,000 (offers encouraged). This boat is located in Fort Lauderdale, Florida and is in good condition. She is also equipped with a Mercruiser engine that has 805 hours. This boat is in very good condition. Seller is replacing the graphics as well as mending a gouge on the starboard bow. Upholstery appears to be in very good condition. This vessel has had regular professional maintenance...all records available. Stock #163398 VERY CLEAN BOAT! TONNEAU SNAP DOWN COVER! TOWER WITH WAKEBOARD RACKS & BIMINI TOP! LARGE SWIM PLATFORM! LARGE SWIM DECK! INCLUDES TRAILER AND MORE!! If you are in the market for a bowrider, look no further than this 2008 Sea Ray 185 Sport, priced right at $21,000 (offers encouraged). 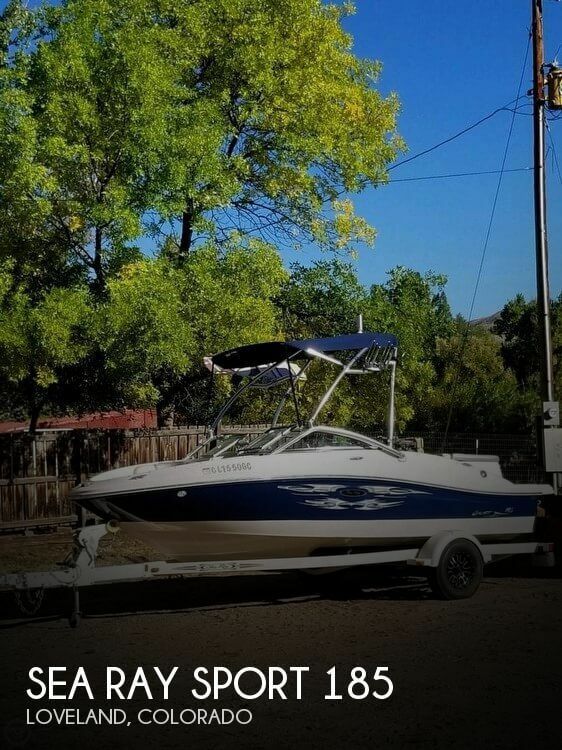 This boat is located in Loveland, Colorado and is in great condition. She is also equipped with a Mercruiser engine that has only 175 hours. Reason for selling is down payment on a house. 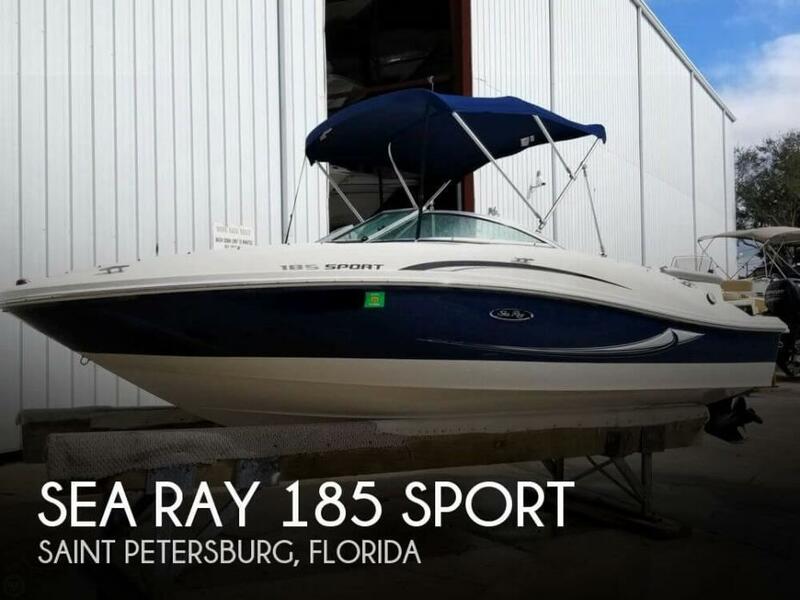 This Sea Ray 185 Sport Bow rider is in overall good shape. The exterior gel coat looks great with a minor scratch at the bow. The interior could use a good cleaning, but there are no tears or rips in the cushions. There are no dings in the lower unit, and the owner states that engine has no known issues. The Swim platform and rear sundeck are fantastic features for a boater that wants to get out to a spot and hang out or watch the kids as you pull them. 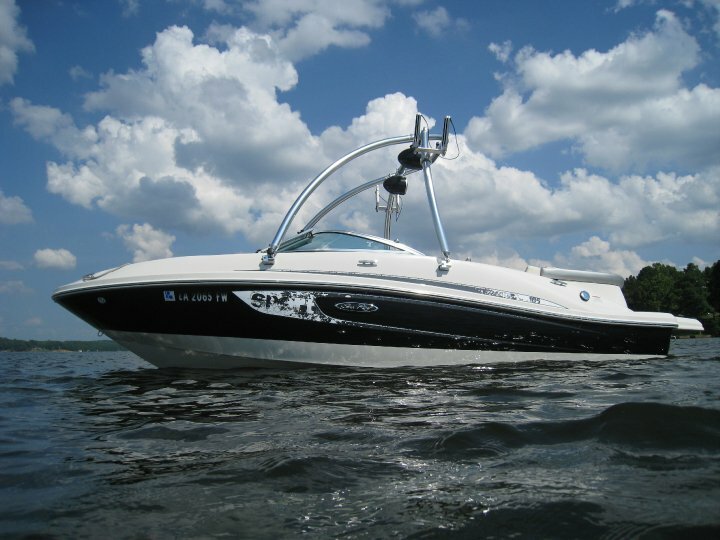 This is a great family boat or first boat as it has lots of versatility and is easy to handle. The boat is stored indoors at a marina high and dry. Stock #138202 Low hours - engine flushed after every use! Includes radio and fish finder! 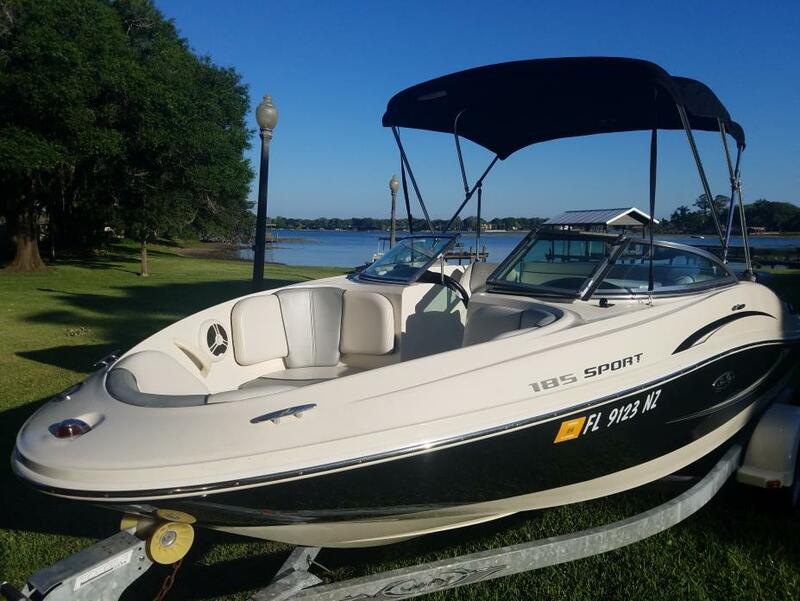 If you are in the market for a bowrider, look no further than this 2008 Sea Ray 185 Sport, just reduced to $13,300 (offers encouraged). 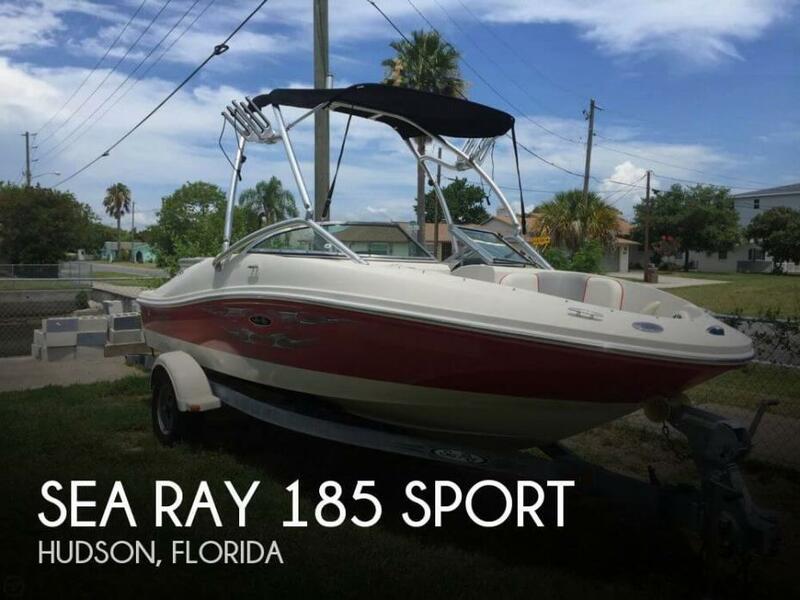 This boat is located in Lantana, Florida and is in good condition. She is also equipped with a Mercruiser engine that has only 265 hours. Reason for selling is disability forced sale as use is now limited. Original / one-owner boat - He just had a full service / tune up completed. She's turn-key and ready to go. The overall condition is reported to be a solid 8.5+ out of 10. Very low hours and always routinely serviced by the local Sea Ray dealer. 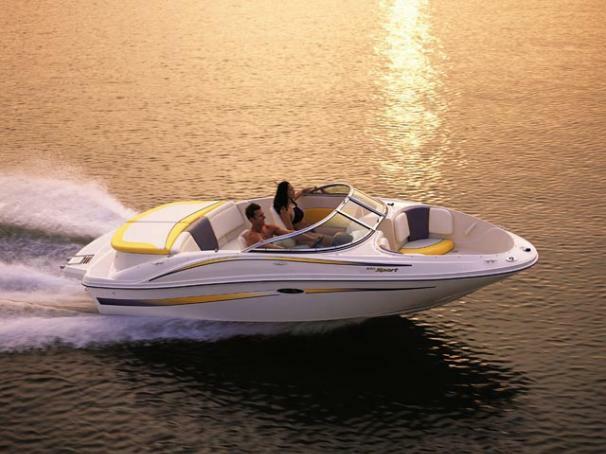 Stock #083759 FULL SERVICE by Sea Ray just completed!! ****TURN-KEY and READY TO GET ON THE WATER! 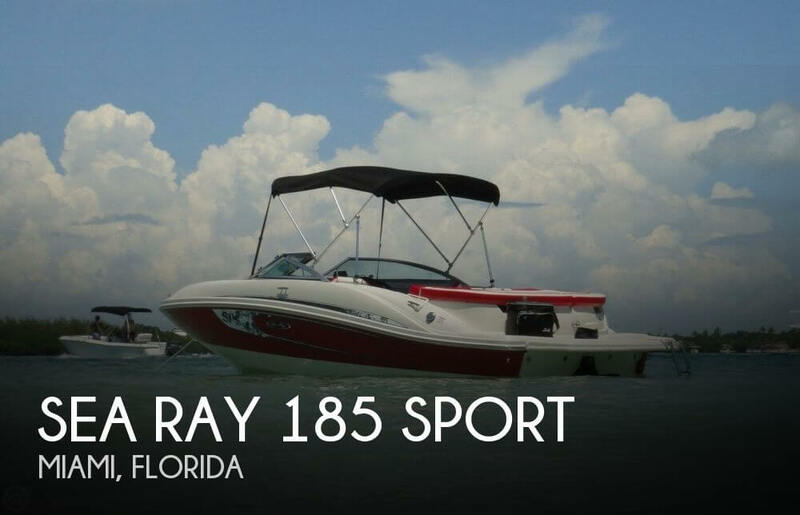 **** If you are in the market for a bowrider, look no further than this 2010 Sea Ray 185 Sport, just reduced to $16,995 (offers encouraged). 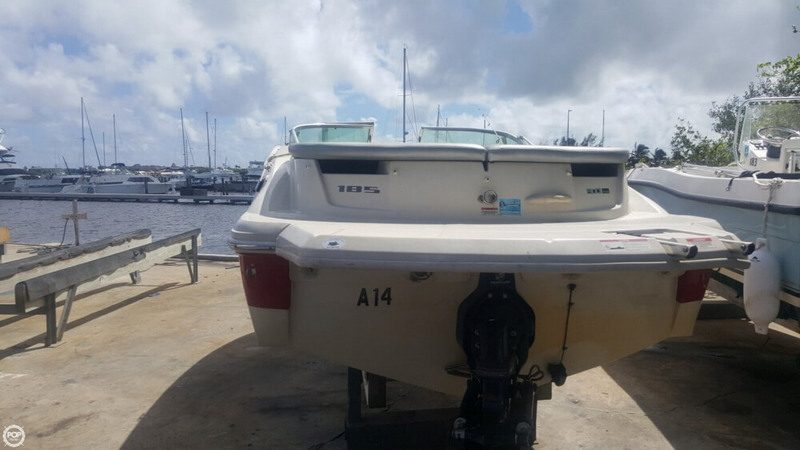 This boat is located in Miami, Florida and is in great condition. She is also equipped with a Mercury engine that has only 175 hours. The hull is in very good condition, owner has detailed and she looks great ( thanks Lisa). Very minor scuffs at stern.Prop barely marked. Internal shows a little wear however over all is in very good condition. Trailer has a lot of spotty rust on surface however appears very sound. Owner lives near the ocean. Two new tires fitted. 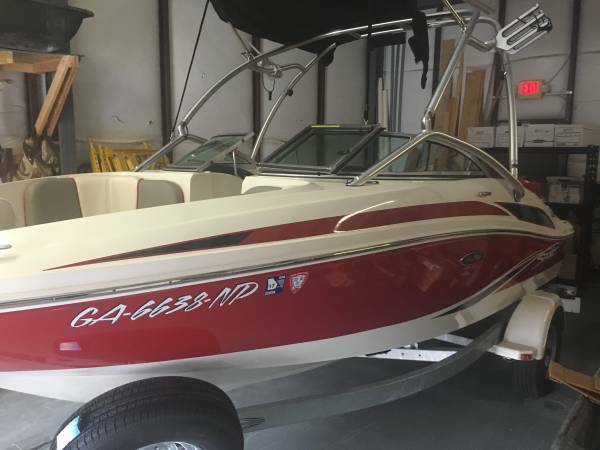 Stock #052478 "Wake Board Edition" If you are in the market for a ski/wakeboard boat, look no further than this 2005 Sea Ray 185 Sport, just reduced to $19,500 (offers encouraged). 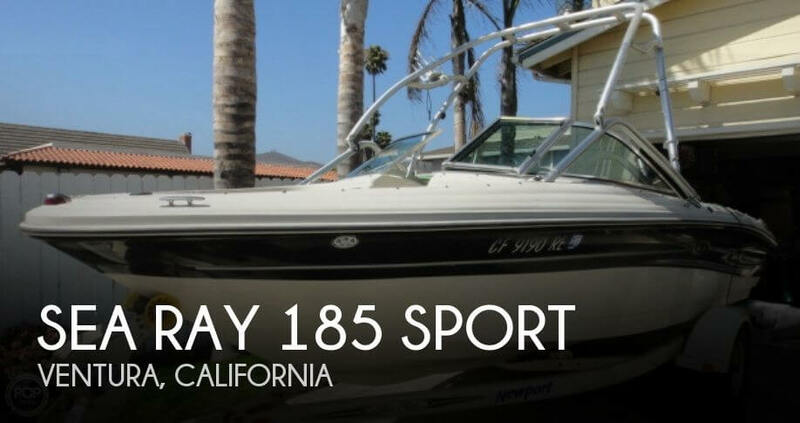 This boat is located in Ventura, California and is in great condition. She is also equipped with a Mercruiser engine that has only 111 hours. 2009 Sea Ray 185 Sport 2009 Sea Ray 185 Sport, only 85 hours! Mercruiser 3.0 L. Freshwater lake use only, Near new condition. Black and white. Protected with boat cover and covered lift. Comes with bimini, trailer and Garmin GPS, recently serviced with new tires. Looking for that perfect boat? Here it is. Reason for selling: getting a larger boat. 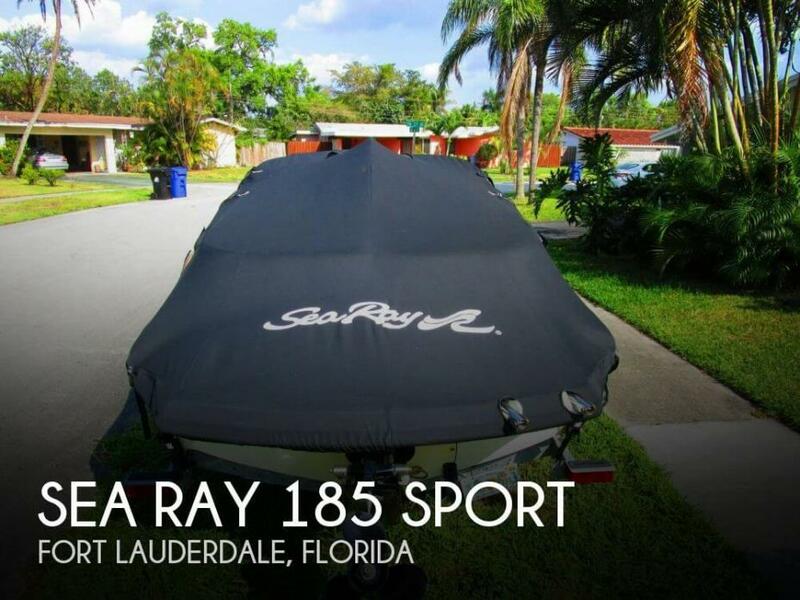 2011 Sea Ray 185 Sport Sea Ray 185 Sport Boat with Galvanized trailer. This boat is in amazing condition for a 2011. Nothing is wrong with this boat and has been stored inside a closed warehouse while we've had it. 2nd owner of this boat and have had if for a little over a year. The boat has many features including a swim-plateform and a foldable tower. This boat includes:Mercruiser 4.3L V6Hours: 135Factory Swim-PlateformFactory Sport TowerNo tears in Seats or any cushionsAll gauges work properlyFactory Trailer with little wear on tiresNo scratches on boatPower steeringPower Radio with Auxiliary inputThis boat is one of a kind and well taken care of. Maintained Yearly and cleaned after every use. $21,000. Call or text my number anytime. Lots of extras included, Lake Ready.